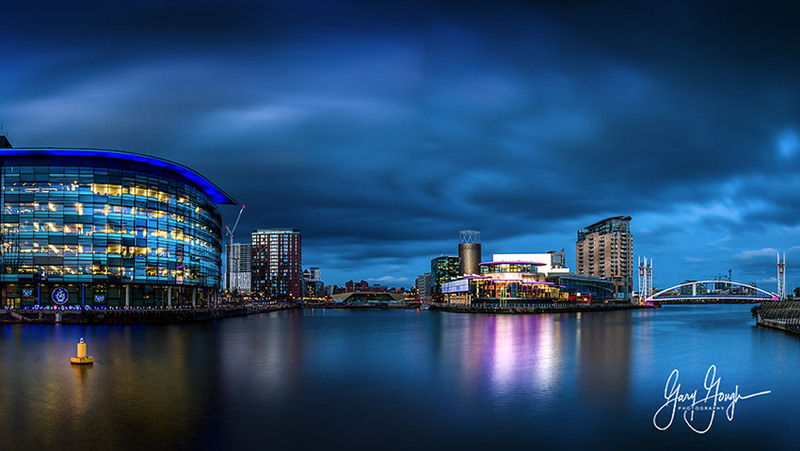 Manchester Quays The Blue Hour - A few weeks ago I decided late in the afternoon that I just needed to get out and about with my camera. It was one of those pin a tail on the Donkey scenarios. Long story short I ended up at the Manchester Quays. 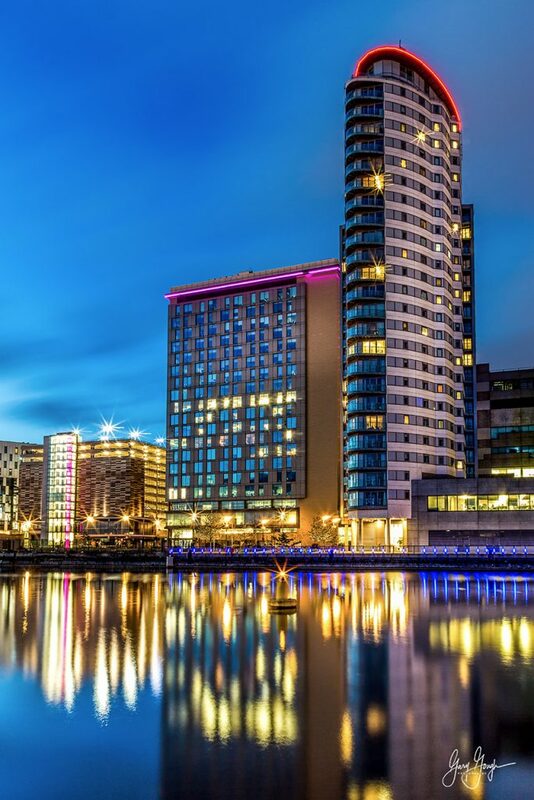 It's a fantastic dockland that over the past few years has been developed into an amazing place. Full of bars, restaurants and shops etc. etc. It's even home the the ITV and BBC TV Studios. 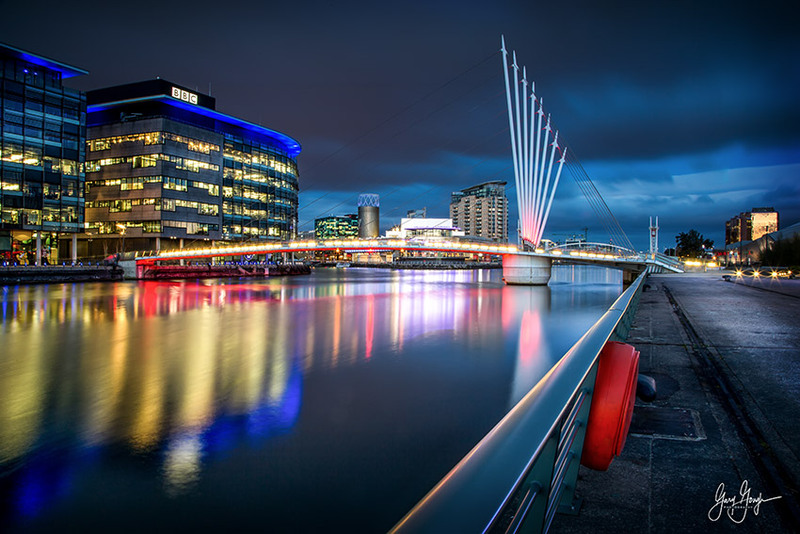 In fact The Quays is also known as the MediaCityUK. 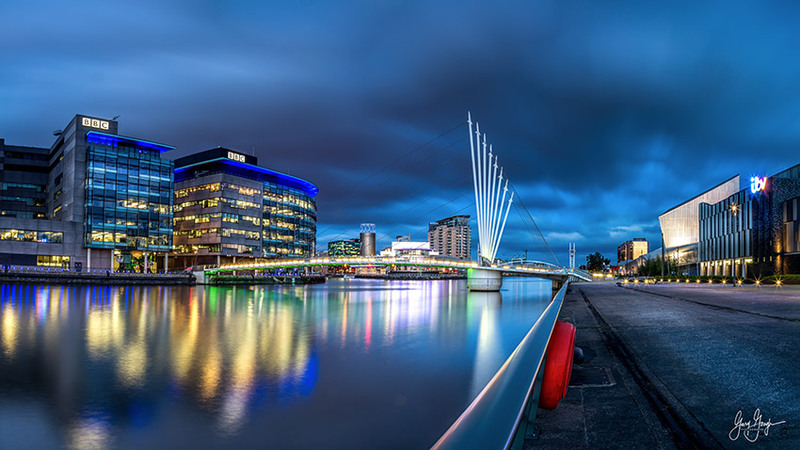 BBC : Is home to a whole host of BBC channels and programmes including Match of the Day, Blue Peter, A Question of Sport, Mastermind, BBC Breakfast, Radio 5 live, CBBC, BBC Sport and the BBC Philharmonic Orchestra, to name just a few. ITV: Is the home of: May The Best House Win, Tonight, Countrywise, Paul O'Grady: For The Love of Dogs, The Dales, Ade in Britain, Come Dine with Me and Piers Morgan Life Stories. to name a few. My intention was to just go out and about and scout out some interesting spots to photograph in the future. I'm so glad I had my camera with me. I arrived just as the sun was setting which in turn developed into the Blue Hour, which I love by the way. Oh boy was I glad I had my camera with me. I make at least one video a week, and I've some amazing locations penned. Please make it worth my while and support the channel.